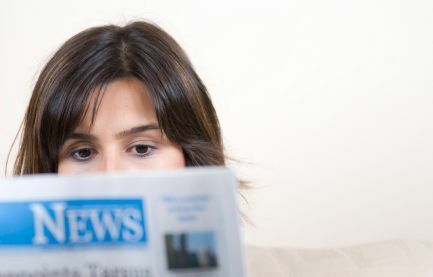 Newsletters are growing increasingly popular as a marketing tool for any business these days. A marketing newsletter is a document that notifies, reminds, advises, communicates and advertises about a business to its target audience and customer base. If used effectively, a newsletter can create immense interest and awareness about an organization and its business activities. That is why it is quite judicious to make effective use of a newsletter to promote a business. In comparison to other PR tools like targeted sales calls or television advertisements, newsletter are quite cost effective. Since Marketing newsletters don’t require any heavy duty investment, unlike affiliate marketing or television advertisements, even a small-scale business owner can try out his or her hand at writing effectual marketing newsletters. You can simply send these new letters to your existing and prospective client base through e-mails in order to delineate the key details about your products and business. These marketing newsletters would thus help you to increase public visibility and enhance the customer base for your business, just as product advertisement would do. However, if you want to use a newsletter to promote your business or product, you must keep in mind certain key things. When you send newsletters to your customer, you should remember that newsletters are intrinsically different from advertisements. Advertisements can contain fabricated words or too much self appreciation. However, newsletters should always have a factual basis. Even if the aim of a newsletter is to entice the customer about your products or services it should always be grounded in reality and be quite informational. Thus, the content of a good marketing newsletter, apart from being attractive for the target audience, should always be factual and impartial, otherwise it would lose its credibility towards the customers. A perfectly written newsletter should always aspire to lure more and more people in to glean more information about the organization. If you send regular newsletters to your existing customer base depicting the details about your latest products and services this would help familiarize them with your business activities. This can, in turn, help to build an allegiance or brand loyalty towards your business. That is why an ideal marketing newsletter should always harp on your USP or unique selling point or your business. In this phase of global economic depression when everyone is clamoring after low hanging fruit, a well written newsletter can help you to achieve that golden target, and without much of an investment. There are many online newsletter program out there from iContact, Aweber, Subscribermail and many more. The leader we feel after using all of the above and more is Constant Contact. They are not the cheapest but the way their templates are set up is very nice, can be modified easily and can get you out of the gate with a nice looking personalized looking newsletter in the quickest time we feel. Design & Promote is a business partner with Constant Contact and have developed dozens of newsletters and currently manage clients with email lists larger than 25,000. Sign up for a free 60 day trial with Constant Contact and see how you like it, just click here.